When the truth speaks, Governments tremble. China and India are nuclear powers with the ability to destroy the earth many times over and with more than a third of the world’s population. Yet just the mere presence of some people – people who have no possession other than the clothes they wear and the words they utter – is enough to rattle the superpowers into fear and frenzy. When the truth is spoken power trembles. The Dalai Lama and HDH Nithyananda Paramashivam are incontrovertibly two of the most powerful spiritual figures of the present times. Both are outspoken, against the tyranny of the establishment and are working towards a new world order – one where divisions disappear and people live in peace, powerfulness and prosperity. Both are exiled from their homes and have hence become citizens of the world. Both are ancient beings who have re-incarnated to bring back order into the chaos that the world has become today. We, the people of this planet, are staring at the distinct possibility of annihilation today. Over consumption has brought us perilously close to extinction due to global warming, perhaps irrecoverably so if we are to believe the scientists. War and terror are stark realities that affect the lives of millions directly and billions indirectly through the effects of protectionism and fear. While there is plenty and wastage in some places the other half suffers with poverty and famine. And this is not just true of the planet earth but within each country or state or city. The solutions to these problems are not technical. What is needed is to rewire human consciousness in a powerful way – to take us to the next level of existence. The promise that these two leaders offer and stand for visually with their very presence is this new world order. And this promise shakes up the powers that be – Governments, established religions and other vested interests. The Dalai Lama is considered as the 16th incarnation of Bodhisattava, the one who had vowed to take people to enlightenment. Similarly, His Divine Holiness is the 293rd incarnation of Paramashiva, the intelligence that created the cosmos, the original author of yoga. 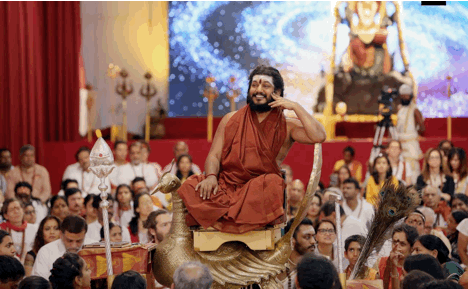 Just like the Dalai Lama who is the head a minority group, Tibetan Buddhism, within the ambit of the larger Buddhism, HDH Nithyananda Paramashivam belongs to the ancient and most authentic order of Hinduism – Shaivism within the Hindu group of religions. He is the 293rd Guru Maha Sannidhaanam (Pontiff) of the Madurai Aadheenam which is the oldest living monastic order in the world. 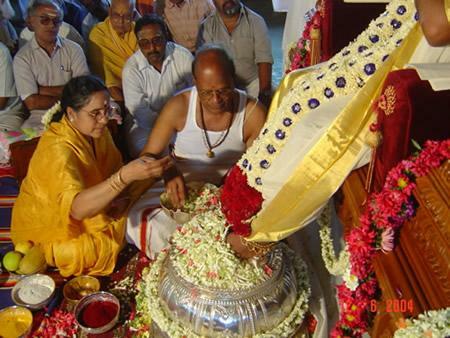 The Madurai Aadheenam is the flagship institution preserving and promoting Shaivism. Lord Paramashiva, the primary deity of Hinduism and the first master who brought the science of yoga and enlightenment to this world founded this ancient and secret mystic branch of Shaivism where the many extraordinary powers of the super-consciousness are kept alive, practiced and passed on from generation to generation. Many millennia later Tibetan Buddhists discovered some of these powerful techniques and have kept them alive in the Tibetan Buddhist traditions. Peace and power are two sides of the coin. With inner power comes the ability of people to be non-violent towards others and to protect themselves from abuse. Scientific studies on Tibetan Buddhist monks have shown they could survive for days in freezing temperatures and in fact raise their temperatures in these conditions to extremely high levels. They have demonstrated the power to read minds and move matter by just looking. Similarly, studies done by Nithyananda Dhyanapeetam have scientifically demonstrated the ability of the monks of the order to see with their eyes blindfolded, to teleport objects across space, to materialize things from nothing and many such extraordinary abilities or Shaktis. The presence of spiritual powers beyond the control of the established rulers and religions and their power which is given directly to the common people, has threatened the establishment throughout history. In the middle ages, in Europe, millions of practitioners of the sciences were branded as witches and wizards and burnt at the stake. Shaolin monks and Akhada Sadhus in India have for millennia protected the common people from the abuse of power of the rulers. In the 1950s and 60s the Chinese Government tried to kill the Dalai Lama when their effort to control the Tibetan Buddhists did not succeed. Through a hard a dangerous journey through the snowcapped mountains he escaped the attempts on his life and established the Government of Tibet in exile. The Government has established a puppet head in the place of the Dalai Lama and are trying to legitimize him. 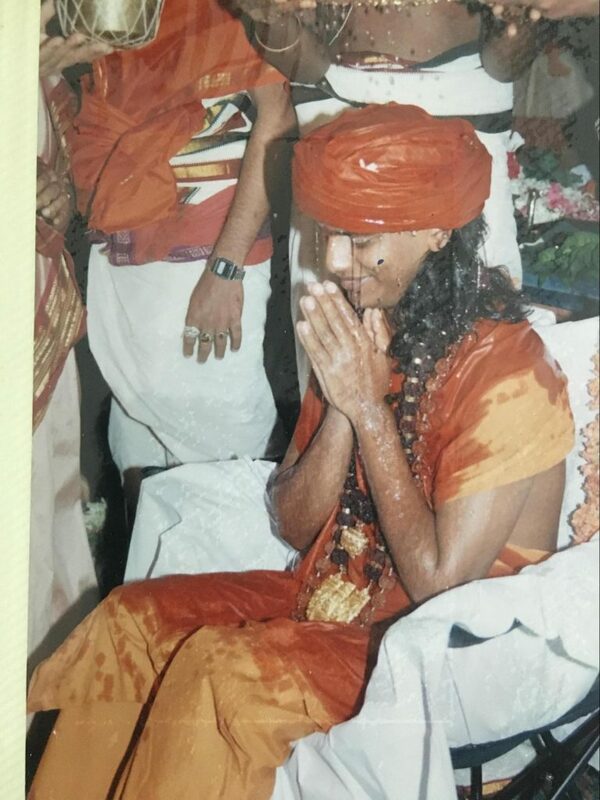 Somewhat differently, but yet very similar in the essence, the powers that be in India have been, over the past decade, trying to wrest control of the Madurai Aadheenam, Nithyananda Dhyanapeetam and HDH Nithyananda Paramashivam. Many attempts have been made on his life. And through the power of media houses, using hooligans and lynching mobs and the abuse of legal processes, he has been thrown out of the Aadheenam. 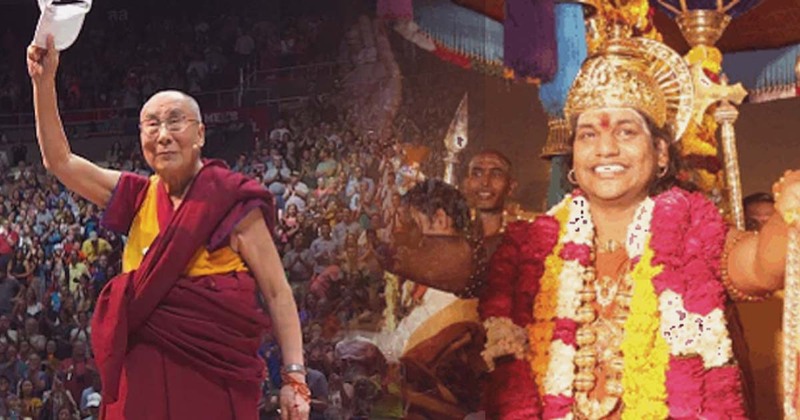 Unlike the Dalai Lama where the state was the sole aggressor, in the case of Sri Nithyananda Paramashivam many vested interests have ganged up together against him. The state in India functions through the autocratic and abusive body knows as the Hindu Religious and Charitable Endowments board or HR&CE who works to take over the properties of all Hindu organizations the moment they show traction. Other religions and even the dogmatic groups of the Hindu religion that depend on numbers to keep their political relevance are threatened by the popularity and effectiveness of the teachings and techniques of His Divine Holiness. Through threats and litigation, they have gained control over the caretaker of the Madurai Aadheenam and are trying to appoint another Pontiff who would be under their control. This is similar to how the Chinese government is trying to wrest control of appointing the next Dalai Lama from the current one – trying to politicize what is a deeply spiritual process. Little do they realize that the headship of these ancient, powerful world orders does not happen through democracy or power politics but through a spiritual process that begins many lifetimes before. At a very young age, he went through a series of tests; specifically, he had to identify from a group of objects presented to him, the items that belonged to the previous Dalai Lama. In the case of His Divine Holiness, he was appointed as the Pontiff after Paramashiva appeared in a vision to the current pontiff instructing him that His Divine Holiness was the next incarnation. But long before that many saints had identified His Divine Holiness as the next incarnation of Paramashiva on planet earth. There were many ways to identify him – mainly through his knowledge of temples, deities and spiritual things which he could not have known unless he brought the knowledge from previous births. 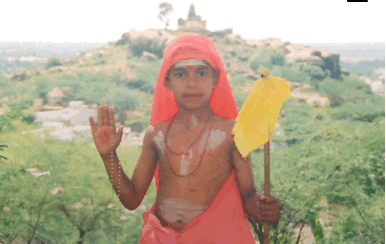 Based on these tests, a group of saints – Mata Vibudhananda Puri, Isakki Swamigal, Annamalai Swamigal and Ram Surat Kumar (who was the previous enlightened master before His Divine Holiness in his birth place), and a yogi by the name Raghupathi Yogi, identified His Divine Holiness as an Incarnation while he was a child. For example, when His Divine Holiness was 4 years of age (an age at which he did not know about temples), his early mentor (by the name of Kuppammal or Mata Vibudhananda Puri) showed a temple at the top of a hill named Pavazhakundru and asked Him what is was. He said it is Ardhanaareeshwara (a deity who represents balance of male and female energies) temple even though he was never told before about Ardhanareeshwara before. 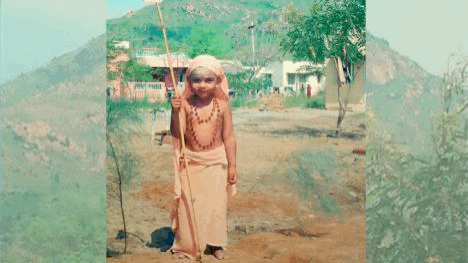 At the age of 3, he recited the entire Ramayana (one of the sacred stories about an earlier incarnation). Another test is the ability to recite hymns and verses from the scriptures which he has never heard. 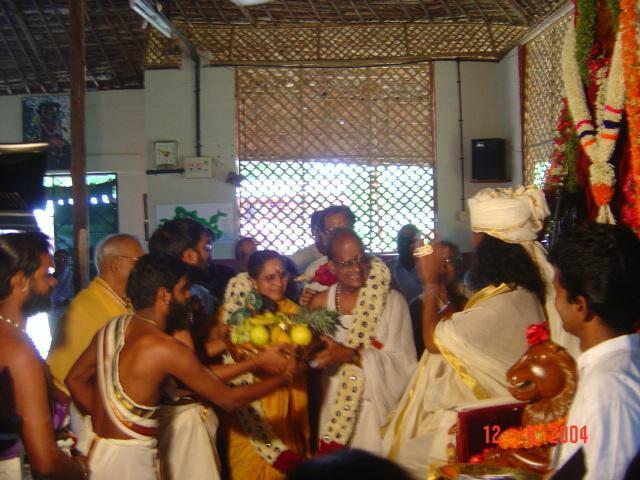 His Divine Holiness also exhibited the power of “eka santha grahi” –the ability to recited a difficult verse after hearing it only once. He was also able tovisualize and draw “mandalas” or sacred geometries (including 42 complex interlocking triangles) without knowing them in advance. Only if he succeeds in all this – he is identified as an incarnation. 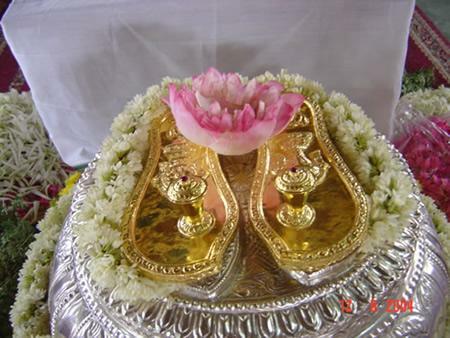 In Hinduism someone is designated as an incarnation or a successor through the act of coronation with a golden crown, and through the act of offering golden footwear called padukas. After the initial panel of saints identified him as an incarnation, many other saintsand Pontiffs coronated His Divine Holiness. 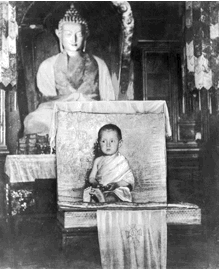 Mata Vibudhananda Puri coronated him as an incarnation when he was a child. Later, many other enlightened masters identified him as an Incarnation and officially coronated him. The Pontiff of Thiruchengode Aadheenam coronated His Divine Holiness on Apr 14 2001 when he established his own monastery for the very first time. In 2004 Satya Sai Baba, who was a living incarnation of the divine, identified His Divine Holiness as the next incarnation and coronated him in a sacred ceremony with golden crown. He also gifted his Divine Holiness golden padukas (sandals) which special inscription of sun & moon. 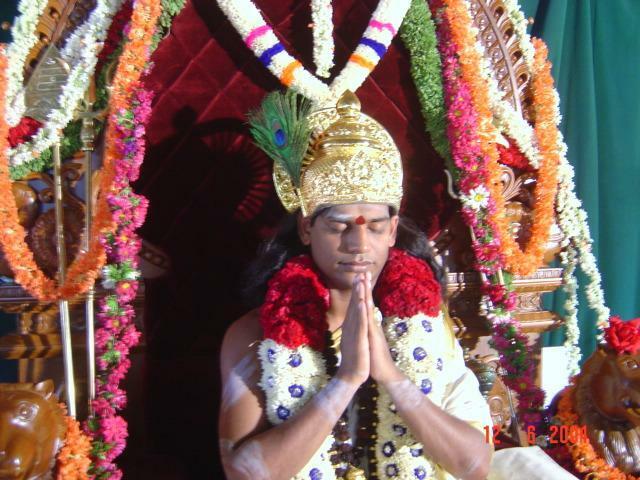 In 2012 the current pontiff of Madurai Aadheenam was instructed in his dream by Paramashiva to coronate His Divine Holiness as the 293rd successor in his lineage. In 2013 His Divine Holiness was coronated as a Maha Mandaleshwar (spiritual head) of Maha Nirvani Akhada, the oldest apex body of Hinduism. In 2015 His Divine Holiness was coronated as the head of Kolada Mutt (monastery) by the current pontiff. 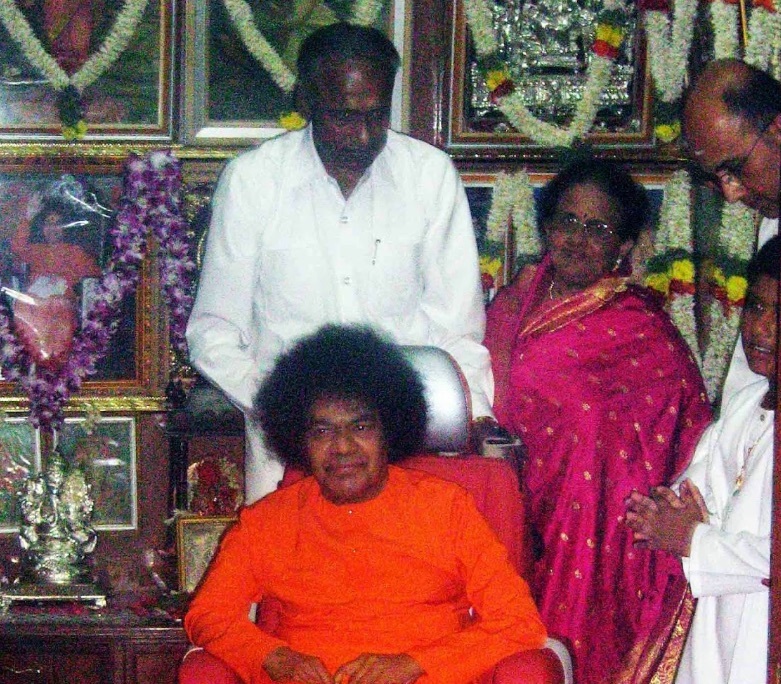 Pictures of Trustee of Satya Sai Trust, seen with Sri Satya Sai Baba. 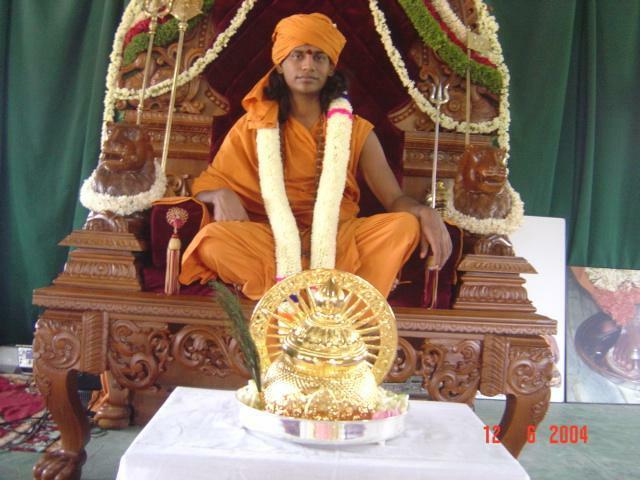 This trustee performing sacred coronation and offering to HDH Nithyananda Paramashivam with a golden crown and golden padukas (divine feet). Just like the Dalai Lama – His Divine Holiness has become a Guru Maha Sannidhaanam in exile – he is not allowed to enter as the future pontiff. Just like the Dalai Lama, although He has the right to appoint the next Guru Maha Sannidhanam, the government is trying to take that right away from him just like the Chinese government is trying to do with the Dalai Lama. Just like the Dalai Lama, His Divine Holiness is being persecuted by anti-religious forces. And just like the Dalai Lama, His Divine Holiness has continued to serve humanity in an exceptional way, standing up for the downtrodden, helping the needy and empowering people around the world. He teaches the science of being powerful – the ability to express extraordinary powers. He has taken yoga and meditation to higher and higher levels. He has published over 300 books in 37 languages. He has helped people with life solutions. Just like the Dalai Lama, His Divine Holiness is very much a scientist at heart. He has conducted deep research into mystical phenomenon and uncovered many interested truths about enlightenment and the ability to transmit the enlightenment experience to another. It is indisputable that these two stalwarts of humanity and human rights shared a lot in common. One more thing about them is that they are both divine treasures, who need to be protected by the international community. Their contributions to the world are immeasurable, and it is the responsibility of the broader international community to step up and grant them protection for the benefit of the world.